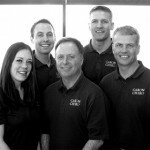 Caron Chiropractic Clinic is conveniently located in St. Paul, Minnesota and North Oaks, Minnesota to serve you. Our clinics are centrally located in both cities, near city bus routes, and have ample parking. We are open early mornings, late evenings and Saturdays to fit into your busy schedule. Our St. Paul Clinic has been open for over 20 years, and in 2013 we were pleased to be able to offer our services for patients in North Oaks, Minnesota as well. Our clinic was originally founded by Dr. Martin A. Caron and Dr. Matthew R. Caron, brothers who grew up in St. Paul, Minnesota. Both Dr. Caron’s have been active members of the Minnesota Chiropractic Association, have received numerous chiropractic awards, and are certified to train chiropractic interns. Dr. Timothy Graff began practicing at our clinic in 2007 and became an owner in 2013. He is certified in acupuncture as well as licensed in chiropractic. We welcomed Dr. Emily Dahl in 2012 who specializes in women’s health, sport’s injuries and nutrition. Dr. Alison Cunningham joined our staff in 2013, and specializes in sport’s injuries, and family chiropractic care. In addition to chiropractic physicians, our clinic supplies massage therapists, yoga instructors, exercise rehab specialists, office staff, and insurance billing experts to serve all your chiropractic health care needs. Caron Chiropractic is proud to offer the finest chiropractic care and equipment including: chiropractic adjustments (manually, with activators and drop tables), acupuncture, electric muscle stimulation, massage therapy, nutritional counseling, exercise rehab, laser therapy, kinesio taping, orthotics, craniosacral therapy, and spinal rehabilitation. Conditions we treat at Caron Chiropractic Clinic include almost any condition that exists. We specialize in auto accident injuries, sports injuries, work injuries, fibromyalgia, back pain, neck pain, headaches, whiplash, Carpal Tunnel Syndrome, arthritis, women’s health, children, nutrition, exercise rehab, pregnancy care, TMJ injuries, allergies, asthma, and plantar fasciitis. We are proud to offer a vast referral network of various health care professionals should a referral be warranted. 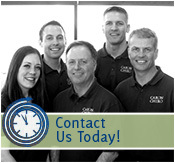 We are committed to providing the best chiropractic care the Twin Cities are has to offer. Our doctors and staff will take the time to get to know you, understand your condition, and will develop a treatment plan specifically for you. We schedule report of findings, and measure progress along the way. To learn more about the services we provide, and how our chiropractic physicians can help you, please call our office at (651)255-9999. This entry was posted	on Tuesday, March 25th, 2014 at 11:06 pm	and is filed under Acupuncture, Chiropractic, Chiropractor. You can follow any responses to this entry through the RSS 2.0 feed. You can leave a response, or trackback from your own site.